Liz will personally post her book to the winning bidder. Prudence Eylesbarrow is resigned to dreary spinsterhood and to never finding love. All she wants is one Christmas where she's not at someone's beck and call. But when Prue finds herself snow-bound at the infamous Rakehell Manor, her curiosity with Hugo, Marquess of Warwick - mysterious, handsome, world-weary, cynical - tempts her to reveal passions she never knew she possessed. Even so Prue is under no illusions. It was fool's game to think a penniless nobody could tame the master of Rakehell, for that way lay heartache and social ruin. Or has the time come for the power of passion, the promise of love and the magic of Christmas to unite two people from very different worlds? 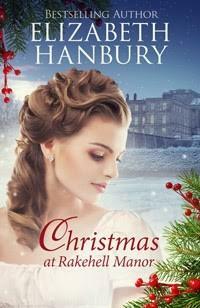 Elizabeth Hanbury is a best-selling author of warm and witty Regency romance for UK and US publishers. A member of the Romantic Novelists’ Association and Society of Authors, she drinks too much tea and is addicted to cake, long walks and anything that makes her laugh. She lives in a village in the heart of England and writes whenever she can sneak away to her desk. Jean will personally post her book to the winning bidder. It's 1940 and the German Luftwaffe have started their nightly reign of death and destruction over London's East End. The Brogan family is braced and ready to take on Hitler single-handed, if need be, but with rationing, air-raids and the threat of Nazi invasion hanging over this doughty family, their spirits are taking a bit of a battering... For Jo, the youngest of the Brogan sisters and newly qualified as an ambulance driver, the freedom of her job also offers the chance to see the love of her life, Tommy Sweete, more often. But Tommy's dangerous reputation means he's disapproved of by her family, and any chance of happiness seems very far away. 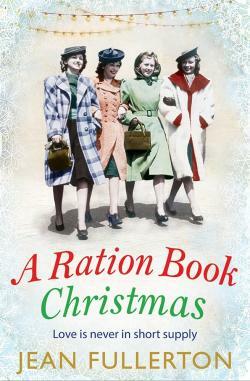 As the Blitz devastates their homes and neighbourhood, can their love survive the horrors of war-time London? Jean Fullerton is the author of 10 historical novels and two novellas. She is a qualified District and Queen's nurse who has spent most of her working life in the East End of London, first as a Sister in charge of a team, and then as a District Nurse tutor. She is also a qualified teacher and spent twelve years lecturing on community nursing studies at a London university. She now writes full-time. Elaine will personally post her signed book to the winning bidder. Will the war be over by Christmas? 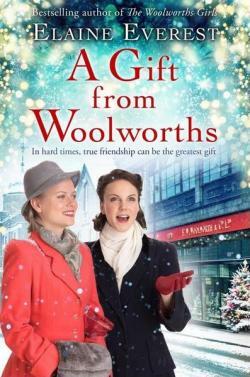 As the war moves into 1945 the lives of the women of Woolworths continue. When store manager, Betty Billington, announces she is expecting Douglas's baby her future life is about to change more than she expects. Freda has fallen in love with the handsome Scottish engineer but will it end happily? Maisie loves being a mother and also caring for her two nieces although she still has her own dreams. When her brother appears on the scene he brings unexpected danger to the family. Meanwhile Sarah dreams of her husband's return and a cottage with roses around the door but Woolworths beckons. Will our girls sail into times of peace, or will they experience more heartache and sorrow? With a wedding on the horizon, surely only happiness lies ahead - or does it? Elaine Everest was born and brought up in north-west Kent, where the Woolworths books are set, and was once a Woolworths girl herself. 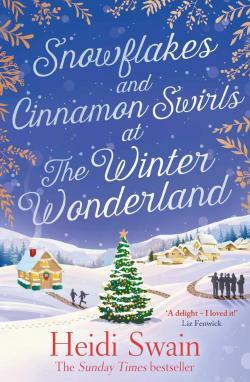 In addition to the Woolworths novels, she is also the author of a festive ebook short, Carols at Woolworths, featuring your favourite characters from the series.Elaine has written widely - both short stories and features - for women's magazines. When she isn't writing, Elaine runs The Write Place creative writing school in Dartford, Kent, and the blog for the Romantic Novelists' Association.Elaine lives with her husband, Michael, and their Polish Lowland Sheepdog, Henry, in Swanley, Kent. Signed Paperback: Paige will write a requsted message along with her signature. 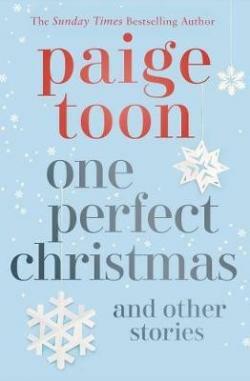 P&P: Paige will personally post her book to the winning bidder. One Perfect Christmas picks up with Alice and Joe one year on… He's a bigger star than ever, and Alice has managed to maintain her anonymity. But how long can that last? Will this be their first - and last - perfect Christmas? And where is Lukas? Bear is ready for a calm, cosy Christmas. 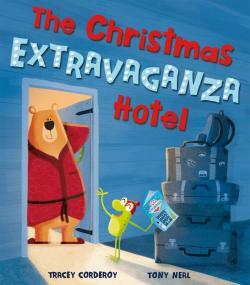 Frog is ready for a tinsel-tastic Christmas at the Extravaganza Hotel! Neither is ready for what happens next . . .! A fabulously festive tale about the joys of the unexpected. Tracey was born and grew up in industrial South Wales and now lives in a hidden valley in Gloucestershire with her husband, two children and an ever-increasing menagerie of devilishly-cute-but-sometimes-rather-naughty pets. 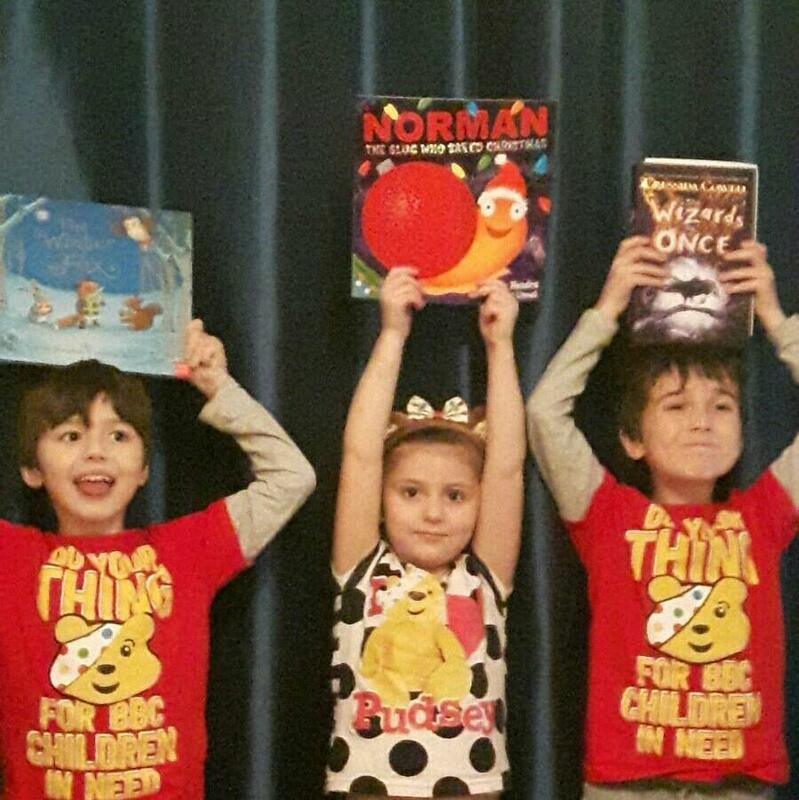 A trained teacher, Tracey has always had a passion for wonderful literature and began writing for children in 2006. Her head is happily crammed with countless ideas and stories and she’s loving the adventures that her characters insist they share . . .
Carole will personally post her book to the winning bidder. Fay and Danny are madly in love and it's all Fay's ever dreamed of. But she left everything - including the delightful cake shop she used to run - to be with Danny on his cosy canal boat The Dreamcatcher. And as she soon finds out, making delicious cakes on the water isn't always smooth sailing! Then Fay gets a call from her friends, a call that sends her back to her friends and the Cake Shop in the Garden. It will be hard being away from Danny but their relationship is strong enough to survive . . . isn't it? Fay soon falls happily back in love with her passion for baking - especially now she's on dry land again! - and starts to wonder if she ever should have left. 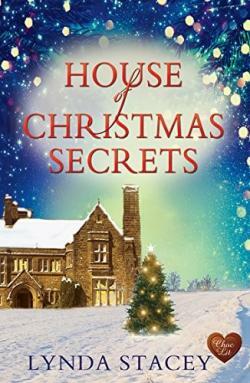 With Christmas around the corner, Fay is determined that her friends will have a very merry time, but does that mean even more time away from Danny? 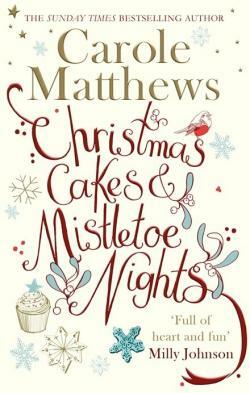 Can Fay really get everything she ever wanted in Christmas Cakes & Mistletoe Nights. 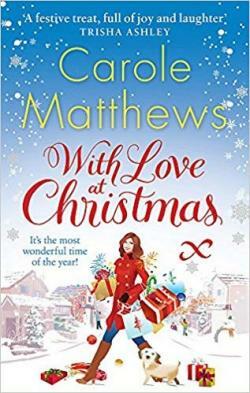 Carole Matthews is the Sunday Times bestselling author of twenty-nine novels, including the Top Ten bestsellers The Cake Shop in the Garden, Paper Hearts and Summer Kisses, A Cottage by the Sea, The Chocolate Lovers' Christmas and The Chocolate Lovers' Wedding. In 2015, Carole was awarded the RNA Outstanding Achievement Award. Her novels dazzle and delight readers all over the world. She is published in more than thirty countries and her books have sold to Hollywood. Louise Young is a devoted single mother whose only priority is providing for her daughter, Mia. Louise has a good job in a huge international corporation and she's grateful for it. The only problem is her boss who can't keep his hands to himself, but Louise can handle him. 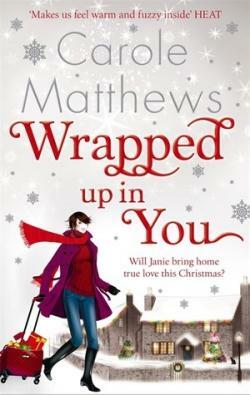 What she really doesn't have time for is romance - until she meets the company's rising star, Josh Wallace. Louise usually says no to evenings out but she's decided to let her hair down tonight. It's the office Christmas party, she has a pretty dress to wear and she's looking forward to some champagne and fun. She's completely unaware that others around her are too busy playing dangerous games to enjoy the party - until she's pulled into those games herself . . .
Leaving winter behind, Janie takes the plunge and books an exotic trip to Africa. Her friends think she’s mad and Janie thinks they may very well be right… but then she falls head over heels for her tour guide – and fully fledged Maasai Warrior – Dominic. But can Janie now face spending a snowy Christmas back home without him? Heidi will personally post her book to the winning bidder. After calling off her engagement, Hayley, the Wynthorpe Hall housekeeper, wants nothing more than to return to her no-strings fun-loving self, avoiding any chance of future heartbreak. Little does she know, Wynbridge's latest arrival is about to throw her plan entirely off course . 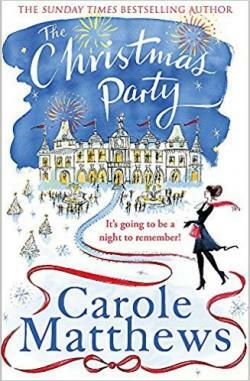 . .
Moving into Wynthorpe Hall to escape the town's gossip, Hayley finds herself immersed in the eccentric Connelly family's festive activities as they plan to host their first ever Winter Wonderland. But Hayley isn't the only new resident at the hall. Gabe, a friend of the Connelly's son Jamie, has also taken up residence, moving into Gatekeeper's Cottage, and he quickly makes an impression on Wynbridge's reformed good-girl. Under the starry winter skies, will Gabe convince Hayley to open her heart again once more? And in doing so, will he convince himself? 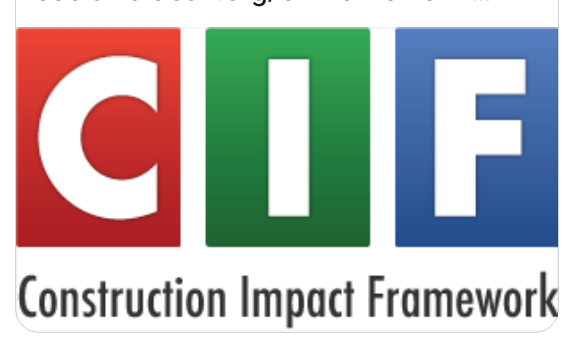 Lynda will personally post her book to the successful bidder. ynda grew up in the mining village of Bentley, Doncaster, in South Yorkshire and went to both Bentley New Village School, and Don Valley High School. She is currently the Sales Director of a stationery, office supplies and office furniture company in Doncaster, where she has worked for the past 25 years. Prior to this she’d also been a nurse, a model, an emergency first response instructor and a PADI Scuba Diving Instructor … and yes, she was crazy enough to dive in the sea with sharks, without a cage.